One of the primary food items in the Haitian society is bread. 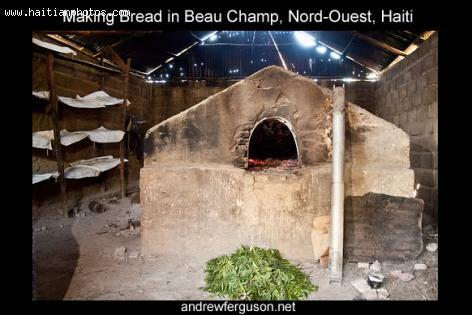 This is a bakery located in the region of Beauchamp. The bread is relatively cheap to make and readily available meal throughout the day.